I wrote a piece on ADD/ADHD and self-regulation (click here). For many people with ADD/ADHD and Executive Functioning concerns, time management is a huge concern. 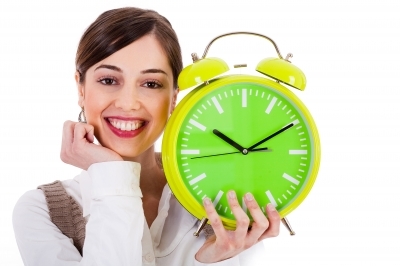 Regularly being late becomes the norm and can cause tremendous amounts of stress. It seems like there’s never enough time and small details are often overlooked due to feeling rushed. People with ADD/ADHD and Executive Functioning Concerns have enough obstacles in life. Feeling rushed and/or being late puts even more stress on our ability to effectively function in our world. This can lead to even more functioning issues. The chain reaction of being rushed or late will cause concerns at home, work, school and with peers. It becomes a vicious cycle. Identifying strategies for success are the key. Find something that works for you and implement it. My wife will often comment on my many routines, but that is how I am able to function. I still have my moments, but I try to stick with the system. For those with time management issues, I strongly recommend a product called Time Timer. For those of you that aren’t familiar with it, it offers a visual clock that will count down to zero. I cannot stress how important it is to use visuals.